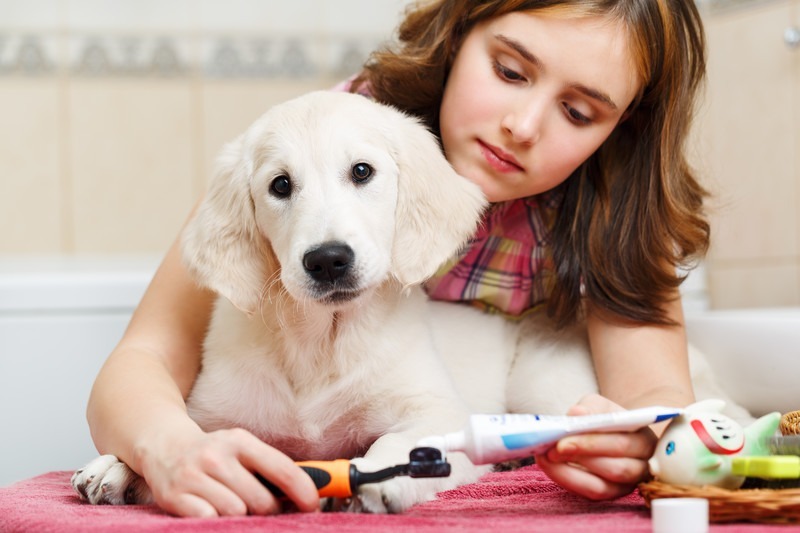 Good pet dental health is an important factor in your dog’s overall health. Just like humans, dogs benefit from good oral care and regular dental check-ups. You can do your part by brushing your dog’s teeth every day and regularly visiting their veterinarian for wellness exams. Take care of your dog by giving them quality food, chew toys and treats for additional dental health benefits. Improve your dog’s dental health by brushing their teeth every day. During February, National Pet Dental Health Month, we are reminded of the importance of caring for our pet’s teeth and gums. Without good dental care, pets may suffer long-term negative effects. When plaque hardens into tartar, your dog can develop painful inflamed gums, infection, and periodontal disease. They may lose or break teeth and it may affect other parts of their body. Daily tooth brushing is the single most effective way of removing plaque. Fight tartar build-up! Take advantage of the benefits of regular tooth brushing, professional check-ups and cleanings, and quality dog food, chew toys and treats. Depending on your dog’s age and background, he may also be more susceptible to periodontal disease. Dental problems can also be caused by other health problems. Early detection and treatment are critical. Talk to your vet – do what you can to give your dog the best chance for good dental health. Dogs that actively chew have less plaque and tartar build-up. Chewing is normal behavior for dogs of all ages. In addition to regular brushing and professional care, chewing is good for your dog’s dental health. Dogs that actively chew have less plaque and tartar build-up. Chewing on dog chews, toys, and treats can help to keep your dog’s jaws strong and teeth clean. Long-lasting chews are the most beneficial, including durable rubber chew toys and quality rawhide chews. Select the proper size for maximum enjoyment and benefit. 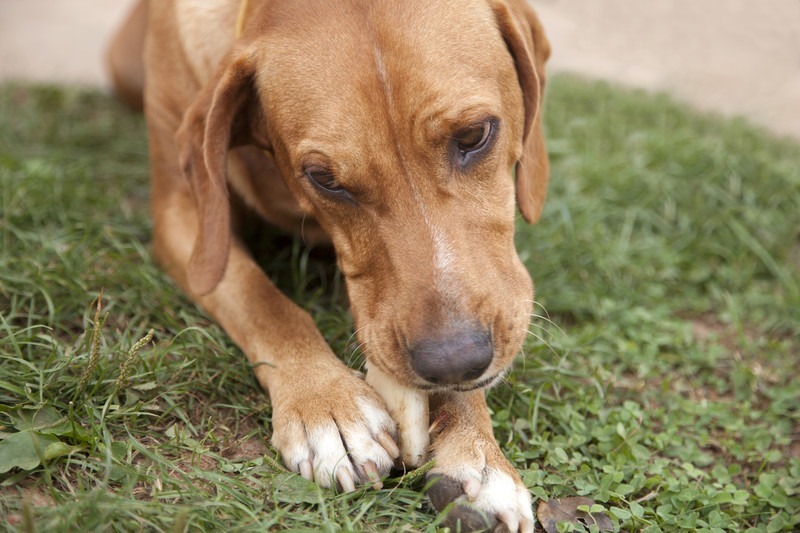 Dogs who gnaw on natural rawhide chews or durable toys for 30 minutes receive the maximum dental benefit. Supervise your dog – remove the toy or treat if it becomes too small and presents a choking hazard. Dry food is also beneficial for your pet’s dental health. You’ll want to feed your dog dry kibble for a healthy way to help keep their teeth clean. The dry food scrapes their teeth and does not stick to the tooth surface like wet dog food and table scraps. Good dental health is an important factor in your dog’s overall health. A combination of good tooth brushing habits, regular visits to your veterinarian, and offering quality food and chews will give your dog a real leg-up on good dental health. PreviousPrevious post:Lucky for Us, It’s the Year of the Dog!NextNext post:NEW Twistedz Chews for Tail Wagging Fun!